Nieman Marcus is selling a private plane this year, a new item in its Fantasy Gifts holiday shopping list. Better yet, it comes in rose gold. People won’t even have to ask how rich you are when they see your plane matches your iPhone. You’re that rich. 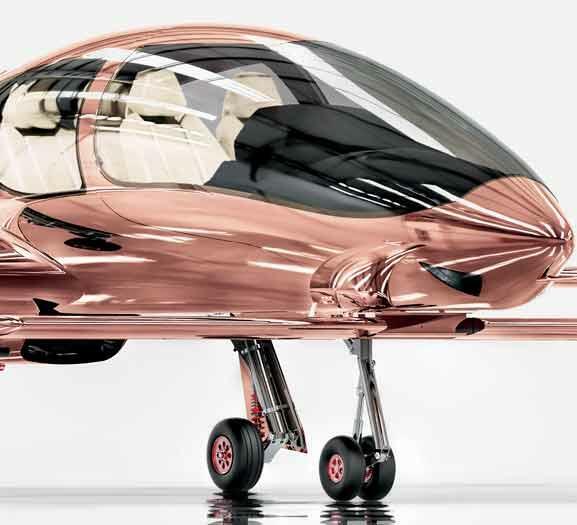 The “Cobalt Valkyrie-X Private Plane” can be yours for a cool $1.5 million. $1.5 million isn’t exactly affordable, but larger, faster jets cost much, much more. With the Valkyrie-X Private Plane, you’ll cruise through the skies at up to 230mph. That isn’t close to the top speed of a $65 million Gulfstream G650, the private plane for actually rich people, which cruises at 594mph. You’ll get seating for up to three passengers and a range of 1,150 miles. Translation: You’ll need to refuel about twice on your weekend excursions between the Gold Coast and Malibu. You’ll also have access to 24/7 technical support for two years. You can buy a parachute after that. Oh, and if it wasn’t clear already, you’ll need to actually have a pilot’s license before you get behind the controls. Don’t have one? Hire a pilot with the cash you saved buying this instead of the 747. If charity is your thing, then sleep easy knowing that Neiman Marcus will donate $200,000 from each purchase to The Heart of Neiman Marcus Foundation. Don’t be shy, ask for a jet this Christmas.